PREVIOUS STORY Not Getting the Clean Results You Want? 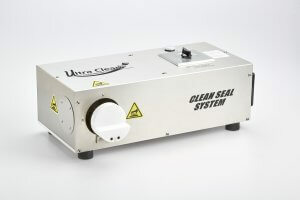 Ultra Clean Technologies, the global leader in contamination control, is pleased to announce that they have begun shipping the second generation of their popular heat shrink machine: the Clean Seal System. This new version beefs up several key components, including a thicker aluminum base-plate, to increase its durability in robust production environments by an estimated 25%, and a redesigned interior schematic to enhance the machine’s design efficiency. Maintenance access has also been made easier. But the key component of the 2nd generation machine is the ability to remotely convert any base model UC-CSS-230v-G2 into an upgraded UC-CSS-230v-G2-HG model with heat guard. This modular approach to design means that the machine can be adapted to increasing or changing demands at the end-users’ location. The upgrade can be made with ease by any owner of a base model UC-CSS-230v-G2 by simply ordering a heat guard upgrade kit from Ultra Clean Technologies. The second generation base model Clean Seal System (UC-CSS-230v-G2) now has a modular construction and is designed for greater ease of maintenance. 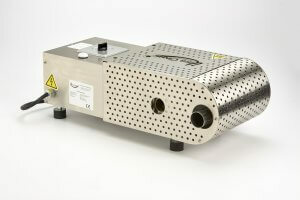 Since safety concerns are a major priority at most production facilities, Ultra Clean Technologies also upgraded the design of the UC-CSS-230v-HG-G2 to make a heat guard that fully encapsulated the hot end of the machine. What’s more, the hot air exhaust pipe was made slightly longer in length to accommodate silicone ducting that can be attached by the operator in order to divert hot air out of the area of operation. The Clean Seal System with heat guard (UC-CSS-230v-G2-HG) has been redesigned to reduce operator fatigue and heat exposure. With its superb characteristics, both Clean Seal System models are considered to be the most optimized and efficient method for sealing hydraulic lines and is expected to meet growing industry demand for a high-performance, low-hassle capping system.